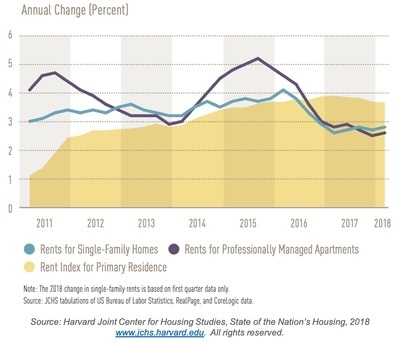 According to the Harvard Center for Joint Housing Studies, rent increases are continuing to outpace inflation. This means that renters are seeing their costs increase, and it could make homeownership even more attractive. Part of the rise in rents is due to the fact that rental vacancies are also at very low levels. If you or anyone you know is being squeezed by rental increases, it may make sense to do a buy vs. rent analysis for your situation.